Anika To Work For Shivaay Khanna Recommends her to Shivaay Ishqbaaaz SBD 22nd June Video and Written Update. Segment Start with Oberoi Mansion where Shivaay’s Sister came from London. Scene Start with Shivaay’s Sister is Giving Gift to Everyone after that She Sits with Shivaay and While Having Snacks Maid comes with tea and She Slips and Tea Cup about to Fall On Shivaay’s Sister But Shivaay Pushes the Cup and Tea Cup Fall on His Head and His hand Got Burnt. Shivaay’s Sister Looks at Him and She Hugs him so tight. Scene Change to Khanna and Anika Actually Anika Made Khanna Her Rakshi Brother and She is Searching Job But Not Getting Any When Khanna comes to Know About This He Goes to Meet her. He Talks with her that Where He works They have Big Company and Sir Maybe Give her any Job in His company. 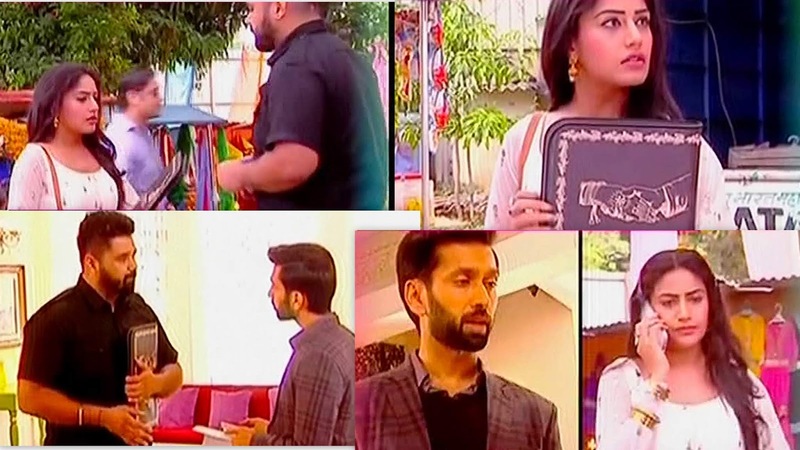 Anika Being Anika Tells No For his Recommendation But He is Adamant and he takes her File with Him and comes to Shivaay. Khanna Explains Shivaay that he Has Sister and She is So Good But Not getting Job Anywhere Can You Please Look at her File and If she Fits Anywhere in His company? Shivaay tells Him to Go and He will See He takes her File and In the Back Side on The File. “Anika Dwivedi” Written On It.